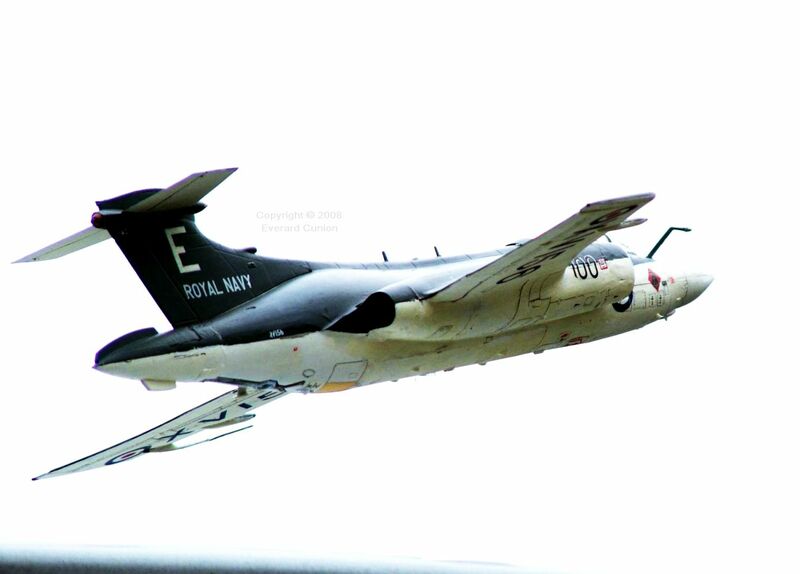 The Buccaneer was a huge aircraft and it makes an impressive model. 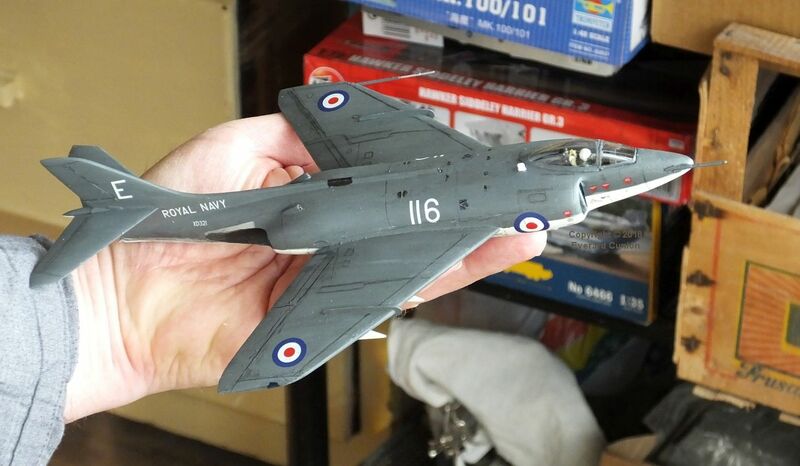 This is the Airfix 1/48 scale kit. Rather crude, unfortunately. The huge box had two kits inside. 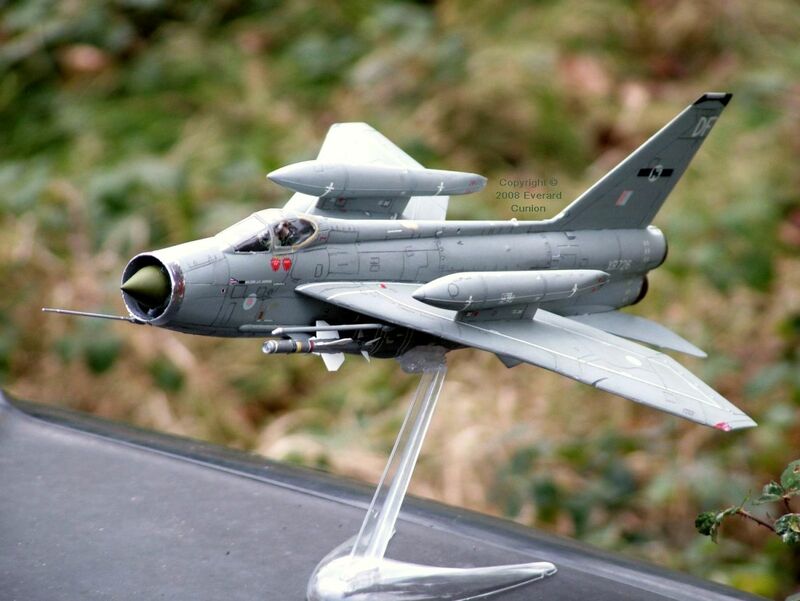 See Gulf War Buccaneer on my Other plastic models page. 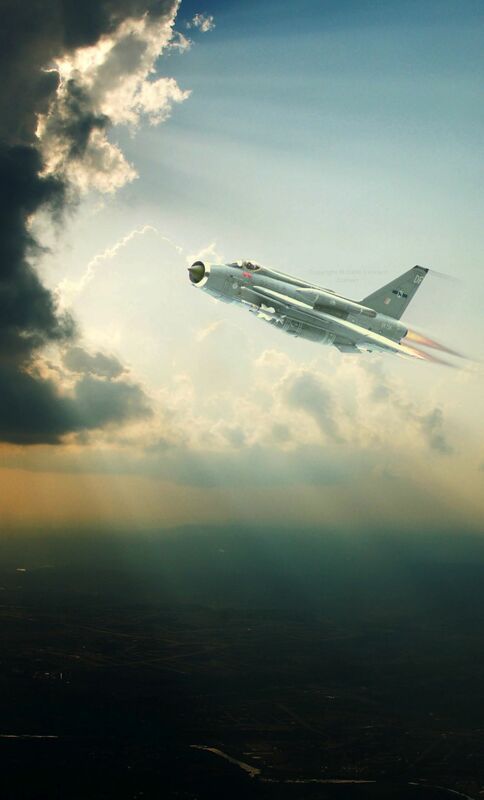 One of my friends on the web combined a photo of my 1/48th scale BAC Lightning with a backdrop to create this image. 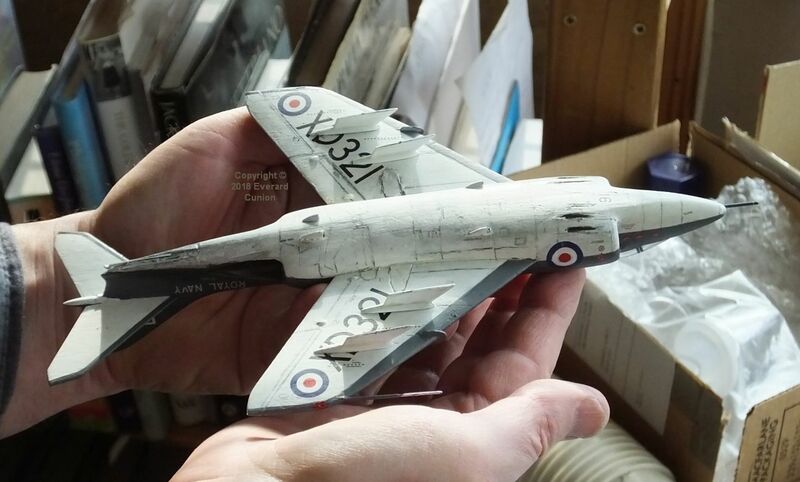 This is the Airfix 1/48th scale kit. Astonishingly, it is one of the finest kits I have ever built. 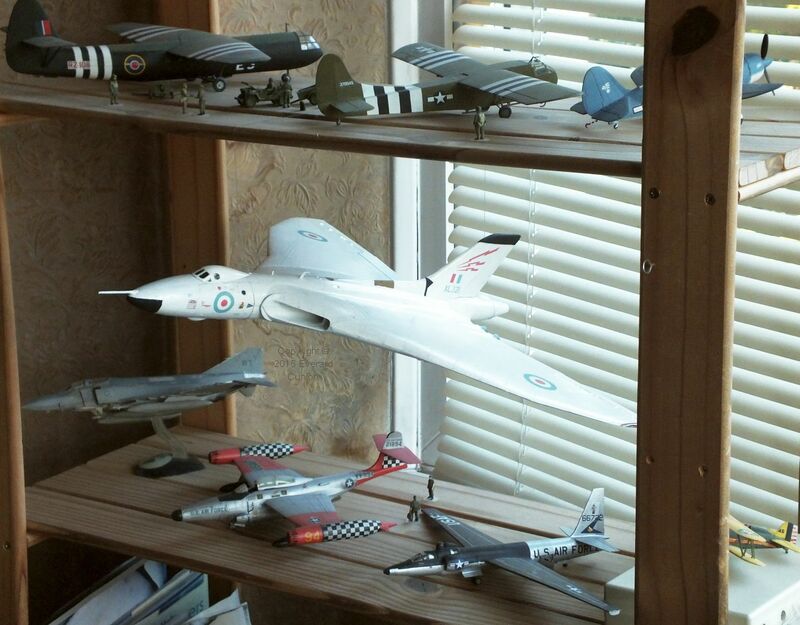 The Airfix 1/72 scale Avro Vulcan is a moulding from the 1970s, but it is not too bad. With its 19 inch span and huge wing area, it is an impressive model. I used acrylic paints for this. I never used them before. The paint is water soluble, but dries quickly to non-soluble. The white is a much purer white than equivalent enamel paint. The fishing line hanging lines in the first photo disappeared in the glare from the sky, but you can see them in the other photos. 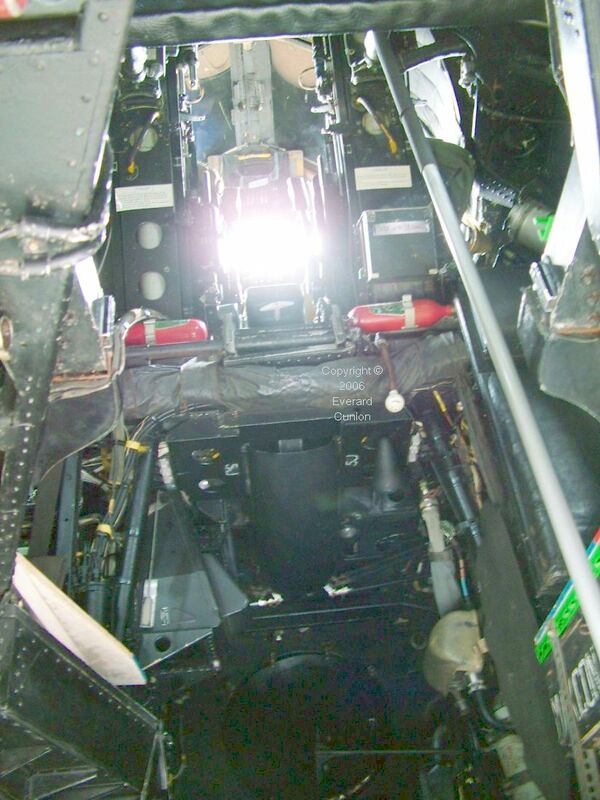 In the view upwards from the entry hatch in the under-belly, the glare is from the windscreen with the backs of the pilots’ ejector seats on each side. Way up high! 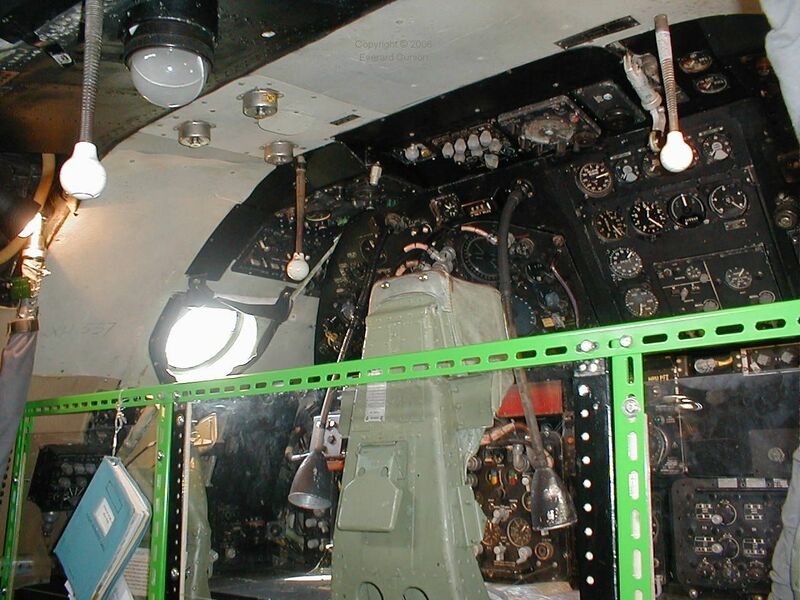 The interior photos, which I took in 2006, are of the real thing, incidentally, in case you think I super-detailed the interior of the kit! 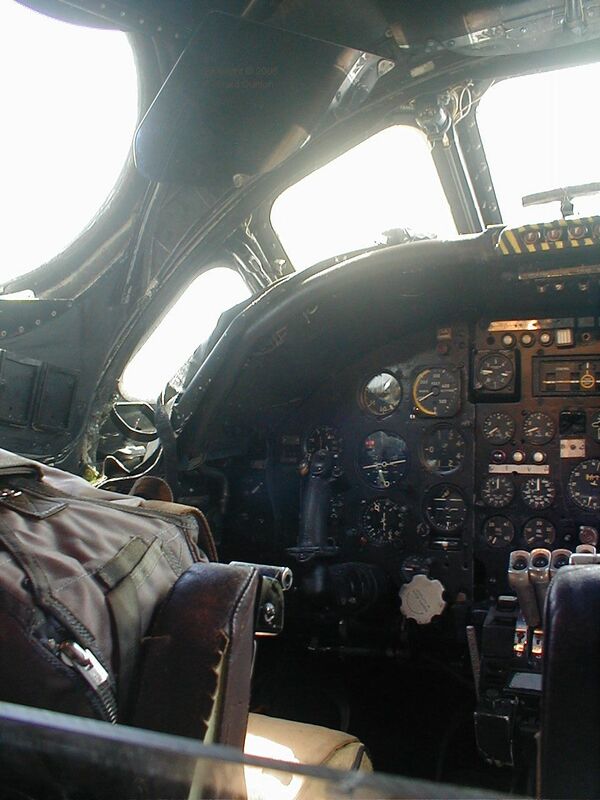 Rather like Dr. Who’s Tardis, the cabin of the Vulcan is bigger inside than out. And it is pretty big from the outside. Climbing up into the crew stations feels like caving. 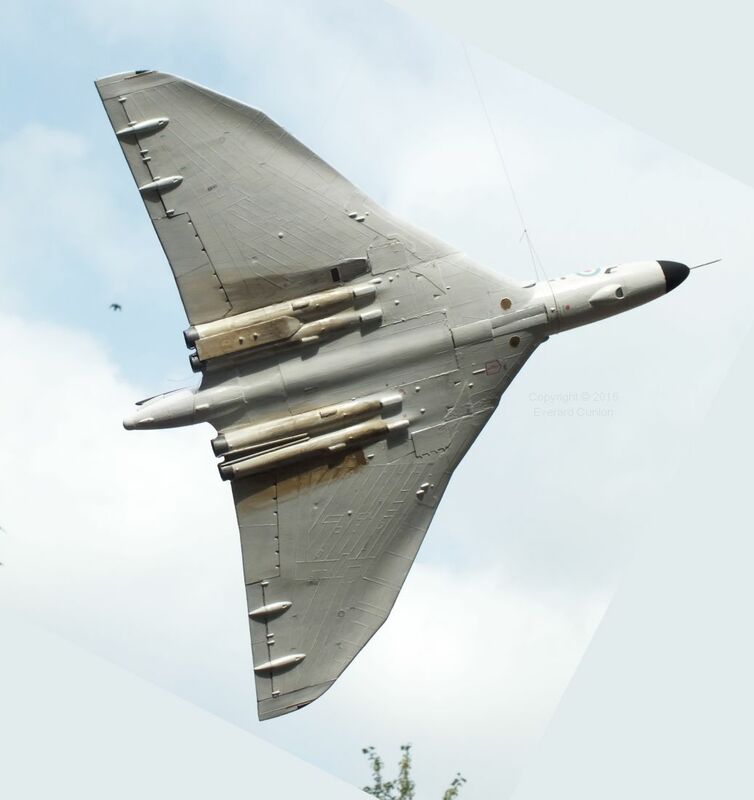 The 1965 James Bond film Thunderball provides only the vaguest hint of the alienness of the Vulcan. 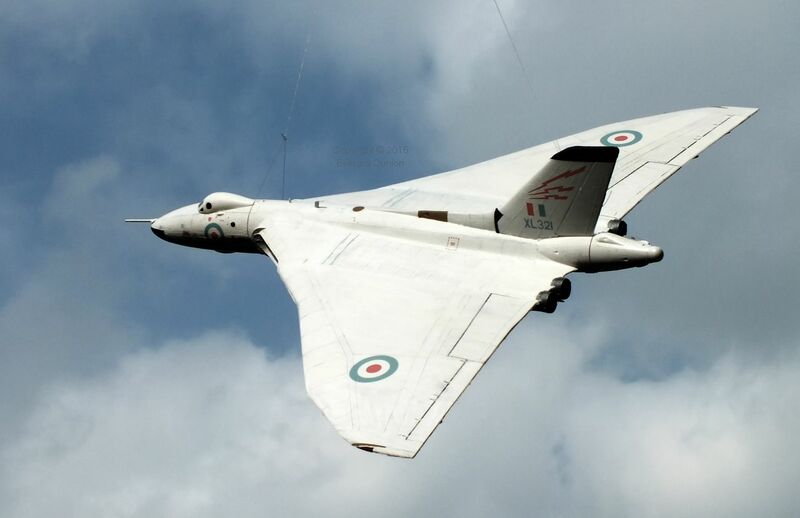 Consider that the Vulcan was the next bomber designed by the Avro team after their Lancaster of World War 2. (The intervening Lincoln and Shackleton were just modified Lancasters.) According to one book on the subject, they were ‘hand built’ without the benefit of modern quality control, as a result of which every one flew differently. One was known to turn one way perfectly well, but it was almost impossible to turn it the other way! 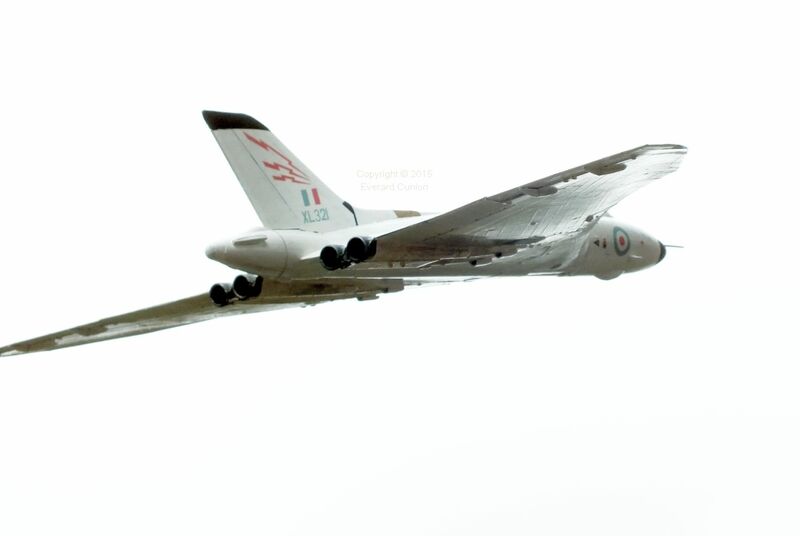 The Vulcan among other models of the same 1/72 scale shows its sheer hugeness! 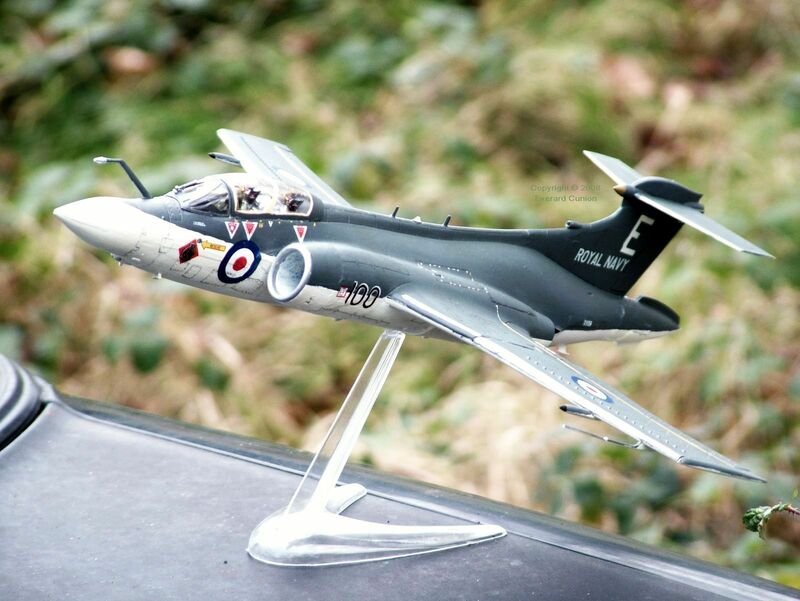 This Xtrakit (Hannants) Supermarine Scimitar in 1/72nd scale won’t win any plastic modelling prizes, but I used to see them often operating out of Hurn Airport (as it was then) in the mid-to-late 1960s.